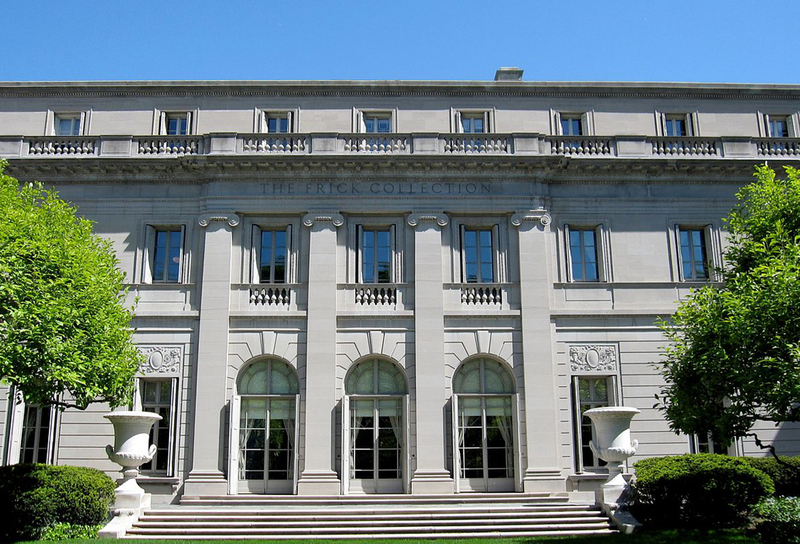 The Frick Collection in New York City is perhaps the penultimate house art museum in the world; it’s certainly a museum that many others look to internationally, especially in terms of displaying its outstanding collections in scintillating style. With a sensational view over Central Park, the collection of masterpieces The Frick Collection houses are some of the greatest artistic treasures every assembled, with a timeline from the thirteenth through to the nineteenth centuries. 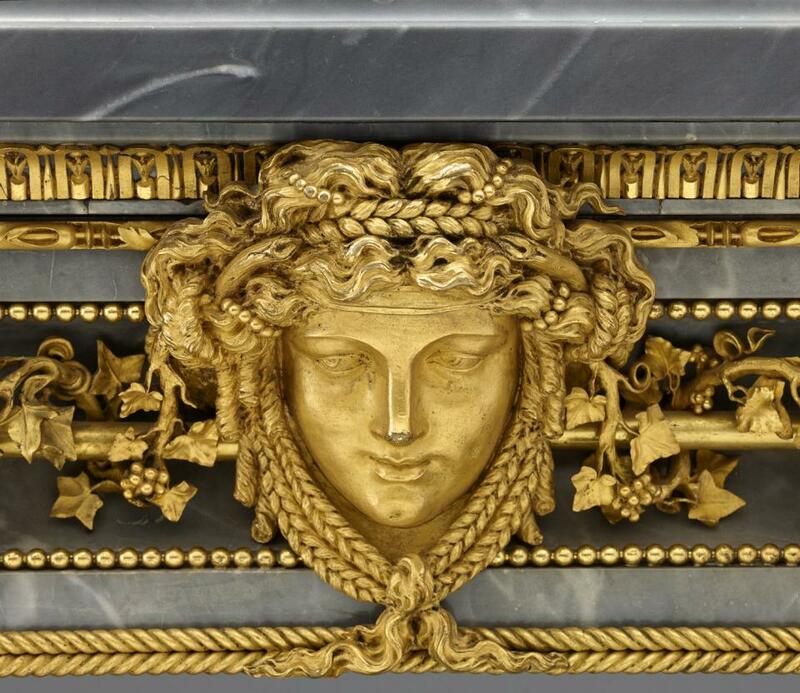 The Frick Collection is renowned for presentations which not only highlight their holdings, but also embolden fresh eyes to encounter the work of great individuals, who have contributed much to the evolution of western art, design and culture. On Show from October 25 will be Cagnacci’s “Repentant Magdalene”: An Italian Baroque Masterpiece from the Norton Simon Museum and from November 16, Pierre Gouthière: Virtuoso Gilder at the French Court, the latter’s works ensuring many of my colleagues in the world of antiques and art will be salivating. 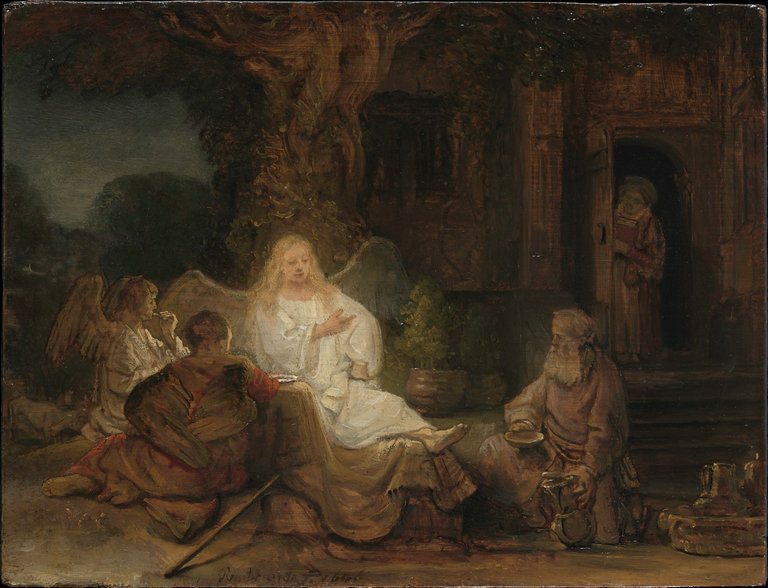 For those who plan their trips abroad in advance, it’s good to know The Frick Collection in the summer of 2017 will offer a very focused exhibition showcasing a small illuminating oil painting Abraham Entertaining the Angels by Dutch master Rembrandt van Rijn. Painted in 1646, it has only been exhibited a handful of times in its history. Abraham Entertaining the Angels in the main is both sombre and soulful, revealing how those in the north were still clinging to their Calvinist principles of puritanical restraint as an outward sign of their moral superiority. Rembrandt broke free, his salvation being light, which in this instant is reflecting Abraham as a divine presence. Last on view a decade ago and on loan from a private collection, the exhibition Divine Encounter: Rembrandt’s Abraham and The Angels, will reveal Rembrandt’s fascination with the narrative surrounding the prophet Abraham, the first of the three patriarchs of Judaism whose story is related in Genesis 11:26 – 25:10 of the Hebrew Bible. “The show explores how, as an artist, you represent a confrontation between the earthly and the divine, the immaterial and material,” said Joanna Sheers Seidenstein, a curatorial fellow at the Frick who organized the exhibition. 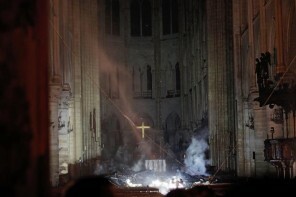 Judaism, Christianity and Islam are all centuries old religions that offered their respect to the figure of Abraham historically, theologically and philosophically and this story is all about examining the nature of the ‘divine presence’ and ‘human perception’. Rembrandt was born into a Calvanist family who lived in Leiden, one of the principle intellectual and artistic centres of his time. Educated in mathematics, Greek, classical literature, geography and history, he also studied science and anatomy, which would prove invaluable for his career in art. His interpretations of stories from The Bible in visual form are always original and profound. His masterwork Abraham Entertaining the Angels is a perfect example of how in the seventeenth century, by rendering light in oils he was able to break the rules of his day. Rembrandt is only one of many artists fighting to keep his head above water by earning money on the side. He virtually reinvented the media of portraiture, etchings and ink and wash drawings. He brought them all to an original technical mastery, a sense of drama created by a subtle use of chiaroscuro and his own overwhelming sense of humanity. 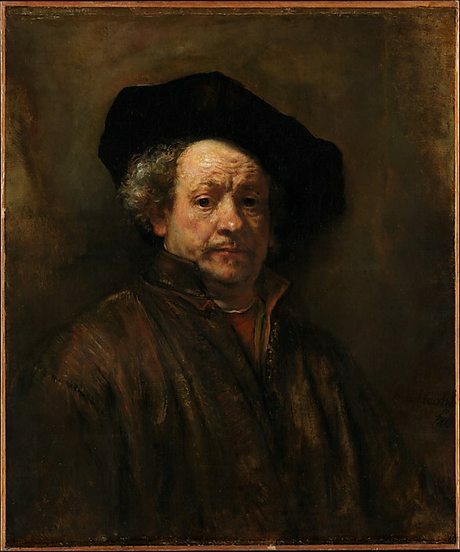 Rembrandt excelled at group portraits of professional burghers from 1631. He married Saskia van Ulenburgh, prospering until her death in 1642 when he produced his greatest masterpiece The Night Watch. His some 350 etchings also extended the medium’s capacity to suggest various kinds of light through painterly effects. 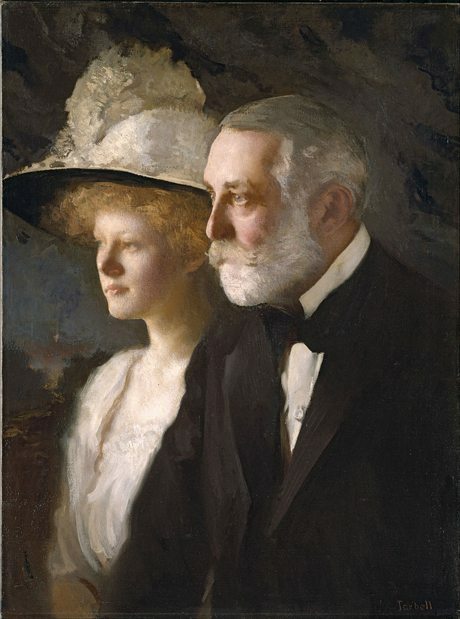 Henry Clay Frick (1849-1919) amassed a fortune due to his commercial savvy and by cleverly managing his investments in trade, industry and banking wisely. His personal journey from rural Pennsylvania to becoming a millionaire by the age of thirty is impressive enough. Then luck entered the equation when he missed the sailing of the Titanic – his wife Helen had sprained her ankle. When in London on business interests, Frick used to visit the The Wallace Collection, brought together from 1760 – 1880 by the first four Marquesses of Hertford and Sir Richard Wallace, the son of the 4th Marquess. Frick became a philanthropist on a grand scale, donating millions to build and expand universities, hospitals, concert halls, libraries and museums while gradually becoming active personally on the international art market. 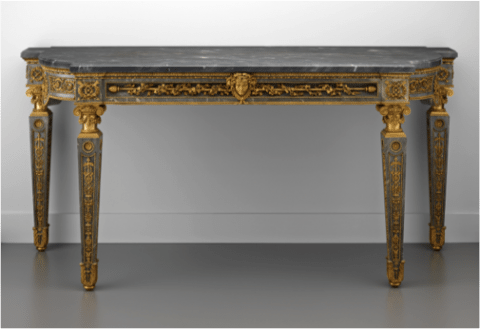 During the last six years of his life, he acquired European and English works by many of the ‘masters’ of their age, as well as antique furniture and decorative objects of the highest quality imaginable for his house on Fifth Avenue, New York. This formed the basis for the museum he wanted established after his death and he bequeathed a large sum of money in his will so that it would continue to grow exponentially after he had passed. His daughter Helen became the driving force behind the museum’s acquisitions in her lifetime, including the Frick Art Reference library she established in memory of her father. Museum Hours: open six days a week: 10:00 a.m. to 6:00 p.m. on Tuesdays through Saturdays; 11:00 a.m. to 5:00 p.m. on Sundays. Closed Mondays, New Year’s Day, Independence Day, Thanksgiving, and Christmas. Please Note: Children under ten years of age are not admitted to the collection.